Choosing Your Wheel: You might already have a great vehicle but you wish to squeeze out a bit more performance from it. Sadly, there’s only so much you can do with your stock wheels. When you’re looking for wheels in the market, you’ll be presented with a wide range of solutions. You need to make sure that the wheel you are choosing are not just compatible with your tyres and rims but also add that extra boost to your vehicle’s performance. You’ve reached Ozzy Tyres and all you’ve got to do is choose from that perfect selection of wheels necessary for optimizing the handling, performance and feel of your vehicle. 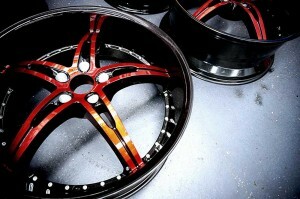 As a customer, you will want them to fit your vehicle perfectly or you could look for combinations that are worth a try. At Ozzy Tyres, our employees work hard to provide optimum support right from the process of selection to installation. Performance Upgrades: The choice of wheel greatly depends on the type of your vehicle. Depending upon your vehicle’s type/category and whatever’s under the hood, some great wheels can be chosen from Ozzy Tyres to bump up the performance of your car. If you wish to engage in off-road activities, take your pick from the sturdy off-roaders available at Ozzy Tyres. At the same time, you might have a decent car but it’s just not a Ferrari or a Corvette. Well, it’s time you gave your vehicle a pair of lightweight alloys from Ozzy Tyres, which are best-suited for high performance. A lot of you might have the wrong conception that bigger wheels equal greater performance. Well, sorry mate, things simply don’t work that way! You need to know what your car needs and at Ozzy Tyres, we fill you in on the details. Click on one of the following to shop now! Wheel Compatibility: If you wish to improve the performance of your vehicle in the best possible manner, keep in mind that the diameter and width ratio of your wheels and tyres matter a lot! On one hand, smaller wheels are great for improving the torque of your vehicle while on the other hand they are more vulnerable to wear and tear. At Ozzy Tyres, we’ll advise you to choose the most compatible and productive set of wheels, depending upon your vehicle while keeping your personal requirements in mind. At Ozzy Tyres we help you with every bit of information that’s necessary for an overall increase in your car’s performance and longevity. For example, you should install rims that are two inches bigger than the stock wheel you received on your car and voila! Performance upgrade! Quality Products Coupled with Great Offers: When choosing your wheel, staying knowledgeable is the best way to go. For example, you should select custom wheels that have a maximum load rating, compatible with your vehicle. At Ozzy Tyres, we tell you about the wheels that match the bolt pattern of your car. 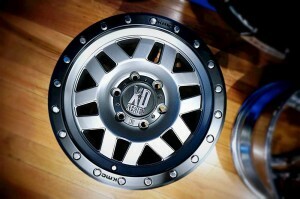 Like we mentioned before, smaller rims equal better torque and handling but at the same time they’ll wear out faster. Keep in mind when you are choosing bigger rims, the tyre aspect-ratio needs to remain constant. If it concerns your vehicle, know that shelling out a little more for a better upgrade is always a sweet deal. At Ozzy Tyres, out creations are designed to facilitate the performance irrespective of the car you’re driving. However, we know it’s sometimes difficult to spend a lot. Hence, you can manage your expenditure through ‘interest free’ or ‘month to month’ payment options, designed for the benefit of our customers. Work hard, drive harder! Contact Ozzy Tyres now on 1300 699 699 or visit the online store to view a big selection of superior quality tyres of different sizes and styles at discounted prices.